Quite often our clients ask for their horses to be portrayed head and shoulders with an outdoor scene behind. The portrait of Cool Clover has just such a background. The softness of the background allows the horse to be in full focus, with the light sky silhouetting the mane beautifully. Even if you have taken photos of your horse in a yard, we can add different background behind. Just let us know your ideas when emailing. 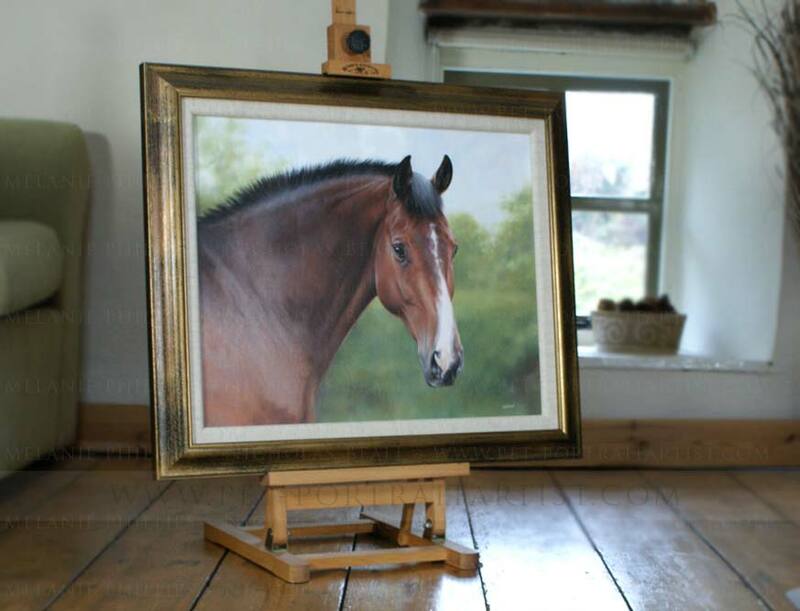 This portraits was painted by Nicholas in oils on canvas and if you would like to read more about the horse portrait, scroll down to find out about the commission. Don't forget to use the share buttons below too. Marian Regan, UK contacted Nicholas in 2011. 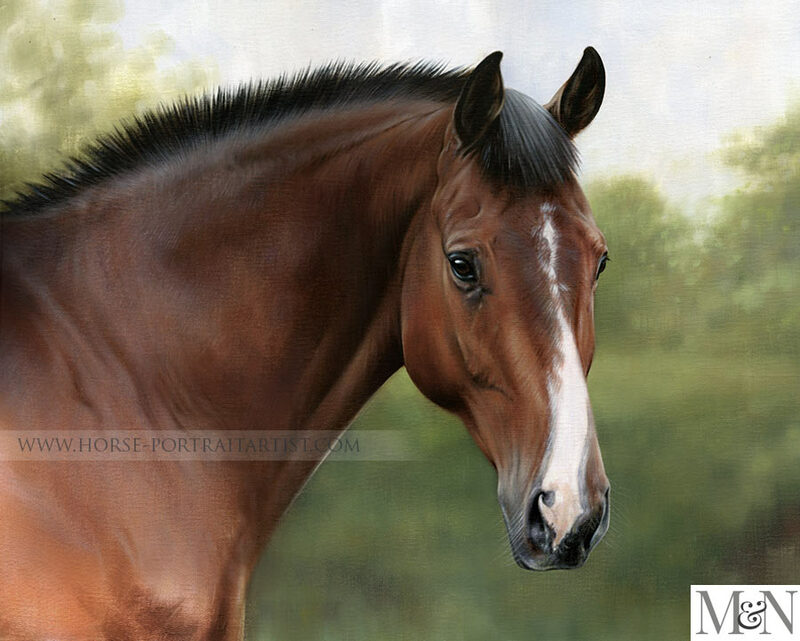 Marian wanted her horse painted in oils at 20 x 16. Cheeky, who's real name is Cool Clover, was to be painted to give as a Christmas gift for the entire family. Marian emailed us plenty of photos of Cool Clover which you can see in the reference section below. 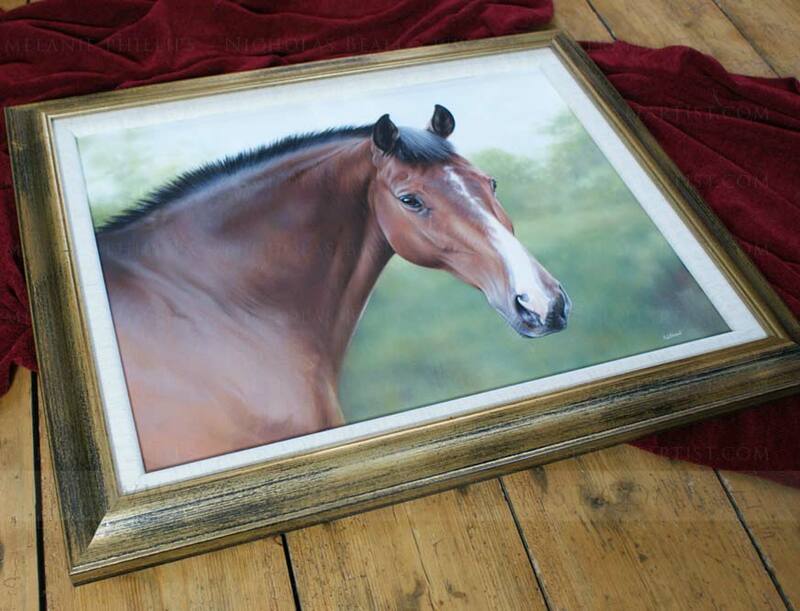 We also had Jane our local framer, frame the painting in a beautiful gold frame which you can see below. 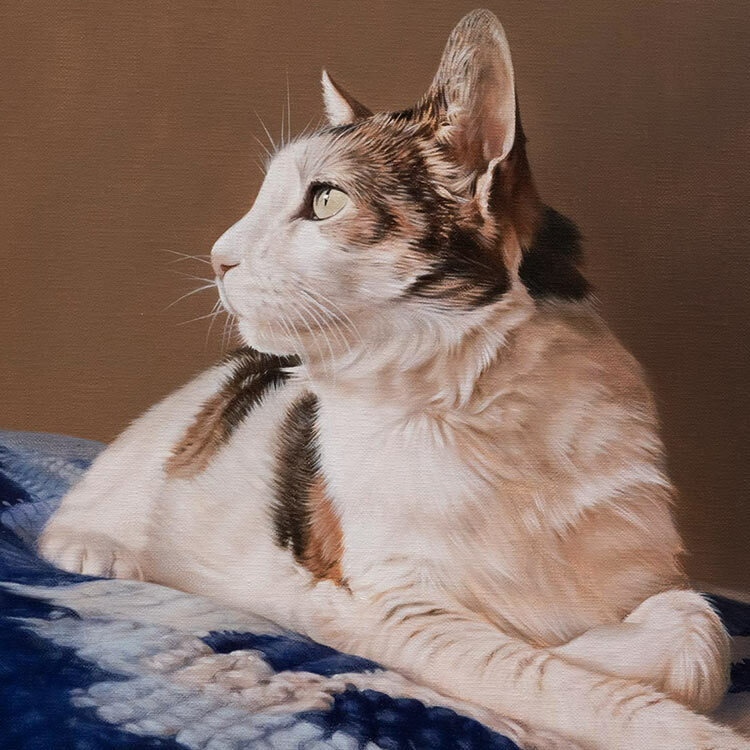 Marian sent us a lovely testimonials when she received the final scan of the painting which you can read. I hope you enjoy this page of information and if you would like to commission us to paint your horse don't hesitate to email us at any time. The painting of Cheeky looks terrific - I can't wait to see it in the flesh! If you are going to feature the painting on your website - and it looks so lovely you should! - cheeky's proper name is Cool Clover. 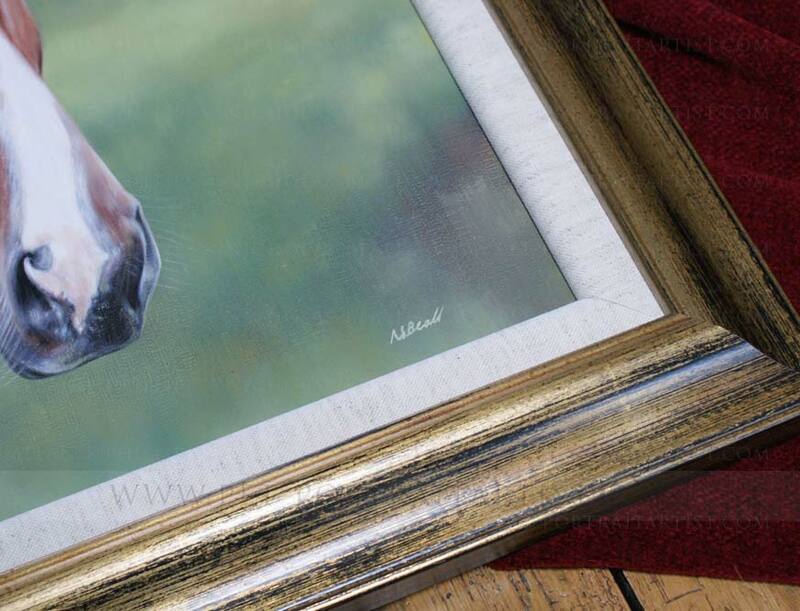 Cool Clovers painting was framed by one of our framers who creates beautiful handmade and hand crafted frames for us. Just let us know the style of frame you would like and we can arrange it for you. If you have enjoyed our painting and this page of information about the commission we would love to work with you on your own portrait. 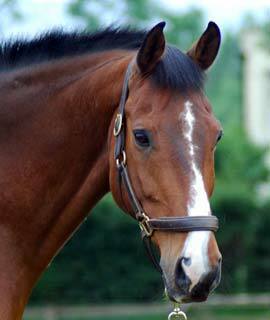 Please do drop us a line, visit our Horse portraits contact page and email us your photos today.